stevenp6 wrote: Yes a fixed orbit means it is whizzing around the Earth. Centrifugal forces don't come into it - just speed and gravity. Did you go to school? Centrifugal force does not come into it, i.e. the fixed orbit around Earth? 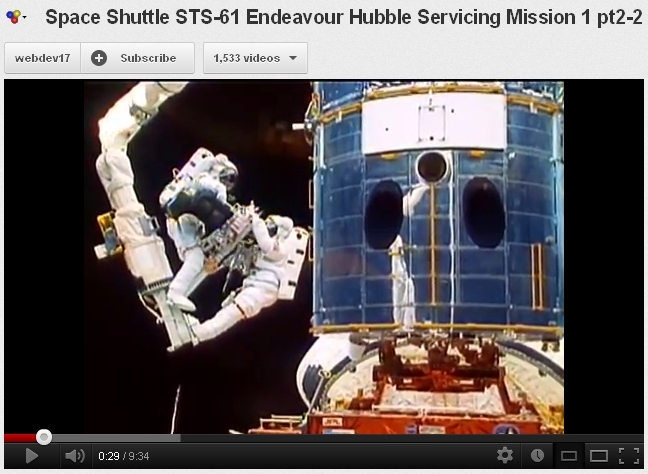 Only Earth gravity acts on Hubble in fixed orbit! But then it would drop down to Earth at once! 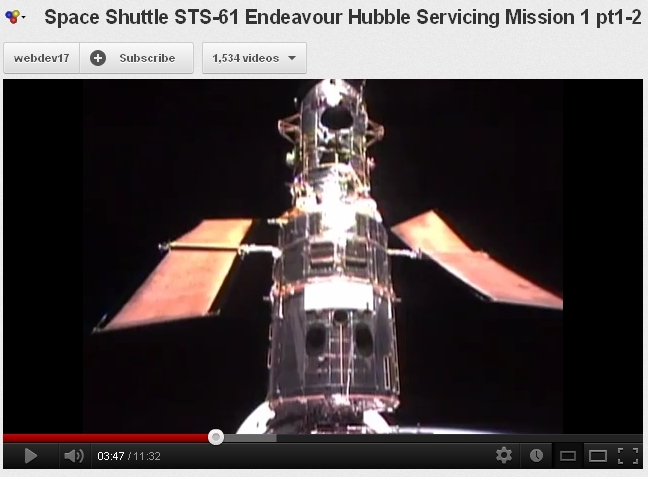 Or does Hubble speed away to avoid gravity? What did you learn at school? Gardening? Cooking? Did you pass? Astonishing - quite astonishing. Your level of ignorance knows no bounds and you seem proud of it. Stevenp6, why are you bothering to post here? It's a waste of breath because we're all just crackpots who won't be convinced of scientific and journalistic truths. Can someone ban stevenp6 please? If they are coming here to try and teach us the 'error' of our ways then can they please do so in a courteous manner? With their condescending tone and flippant, imperious attitude they are not doing themselves any favours. Should they have something of real substance to say, then let them say it but this constant bickering and/or incredulous response to peoples questions/replies is becoming very very tedious. 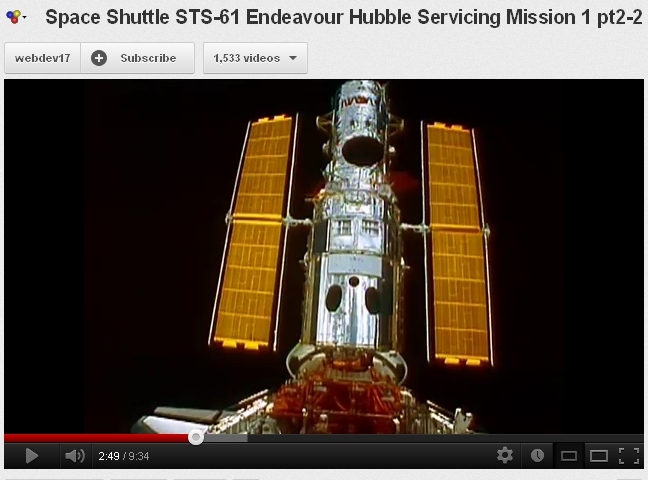 I have just explained how the Hubble took pictures without having to stop or need thrusters. What's the problem? Last edited by whatsgoingon on Fri May 24, 2013 10:12 am, edited 1 time in total. Caption : "(19-27 December 1999) - Astronauts Steven L. Smith, and John M. Grunsfeld, appear as small figures in this wide scene photographed during extravehicular activity (EVA). 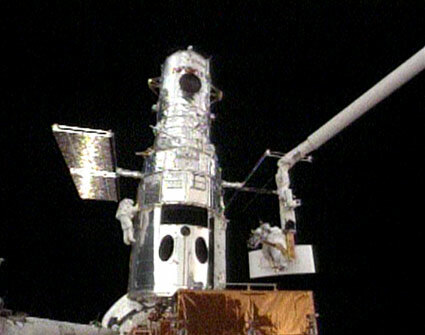 On this space walk they are replacing gyroscopes, contained in rate sensor units (RSU), inside the Hubble Space Telescope." 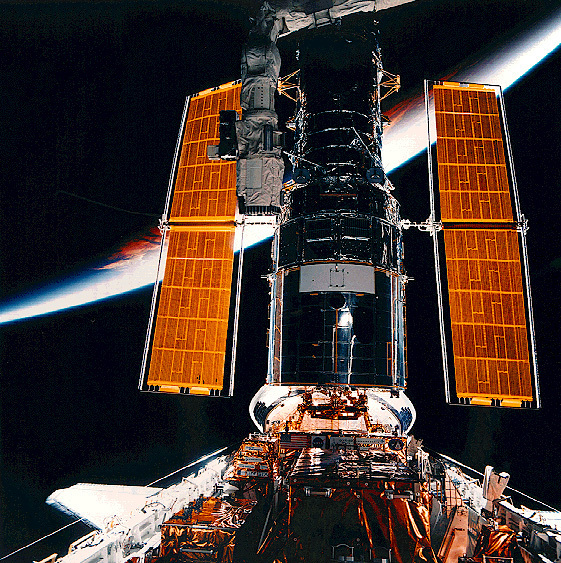 Caption : "The Hubble Space Telescope is seen with the Earth in the background in this picture taken from Space Shuttle in March 2002." 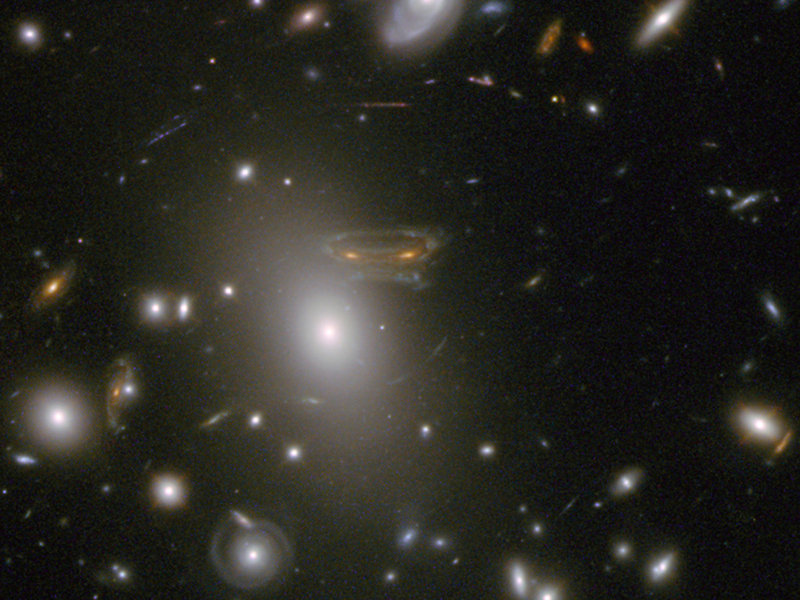 Caption: " Hubble is reborn. 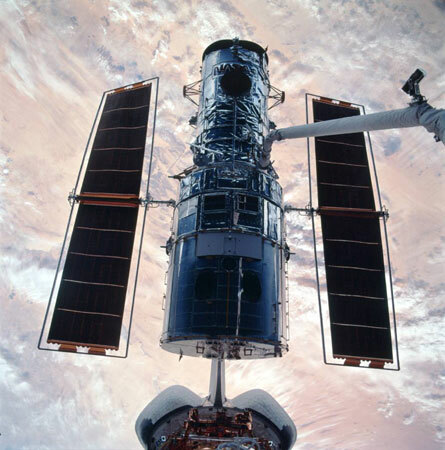 After a seven year rollercoaster ride of go/no-go for the fifth and final Hubble servicing mission, Service Mission 4 (SM4) was finally flown in May 11-24, 2009." Caption: "The Hubble Space Telescope as seen from the departing Space Shuttle Atlantis, flying STS-125, HST Servicing Mission 4." I will welcome any alternative explanation from allcomers - but if anyone is going to bring into the discourse perspective issues (or any optical phenomenon such as lens distortion, camera angle, etc. ), it had better be convincing. Yes, the 'midget' astronot in the lower image is slightly more distant from the camera lens but ... by 40% ? Happy debunking, dear Nasa apollogists ! Woah, looks pretty windy up there ... nah - it must be some mechanical torsion effect...anyhow, those flimsy solar arrays sure get some beating : Let's hope they'll last until 2014 as promised ! when the telescope is eventually decommissioned, which should not occur before 2014." ?! Can any NASA expert please let me know what exactly THIS thing is meant to be ??? ...aaand the fitting, "Playstation-finale": a bluesy cartoon-landing at Cape Con-averal ! Yes folks! NASA is passing off the above shot as REAL video ... You better believe it - lest someone call you a "nutter"! I have moved the last few posts on this thread to the DERAILING ROOM. 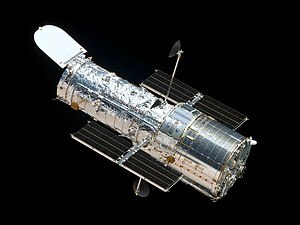 This thread is dedicated to NASA's purported "Hubble space telescope" - and to anything related to it. Full stop. and is entering in the Adult Video Awards "Gape" contest. 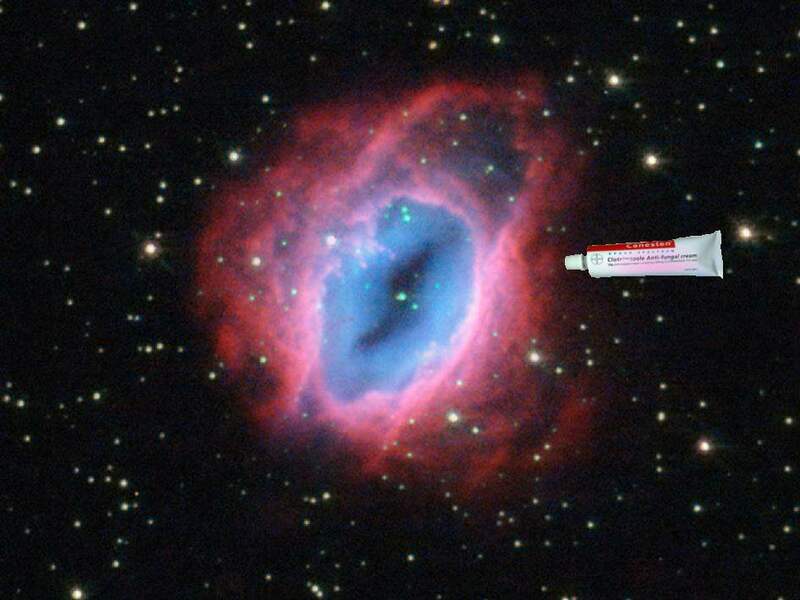 This star formation appears to be suffering from a yeast infection. The one [sic] good thing about NASA is the all-day, every-day onslaught of ridiculous imagery. For my money, it's the best value for your fakery-buying dollar. 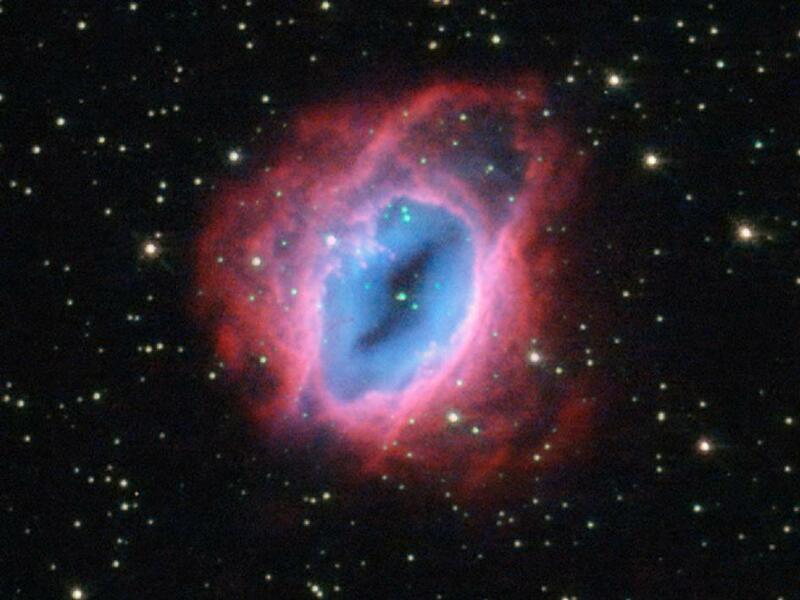 Today's Hubble spotlight image is referred to as "Space Invaders", as evidenced by the spooky, demonic face emanating from the centre. 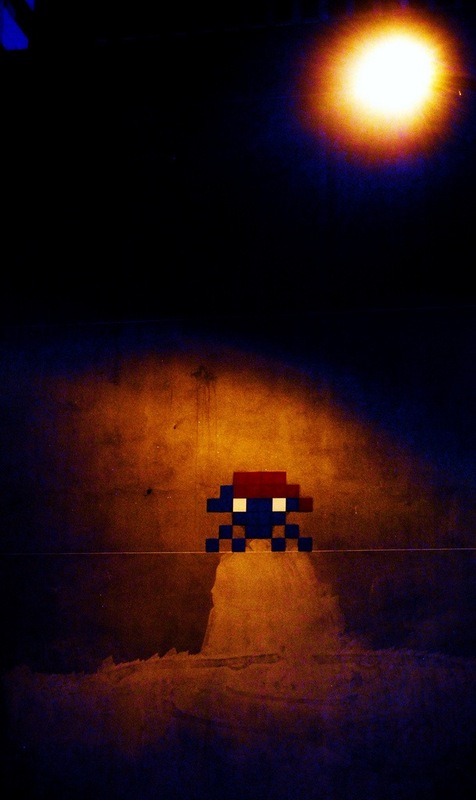 Great, now I'm terrified of playing Pong. "The Stratospheric Observatory for Infrared Astronomy (SOFIA) is a joint project of NASA and the German Aerospace Center (DLR) to construct and maintain an airborne observatory." The primary science objectives of SOFIA are to study the composition of planetary atmospheres and surfaces; to investigate the structure, evolution and composition of comets; to determine the physics and chemistry of the interstellar medium; and to explore the formation of stars and other stellar objects. While SOFIA aircraft operations are managed by NASA Dryden, NASA's Ames Research Center in Mountain View, California, is home to the SOFIA Science Center which will manage mission planning for the program. "The open cavity housing the telescope will be exposed to high-speed turbulent winds. In addition, the vibrations and motions of the aircraft introduce observing difficulties. The telescope was designed to be very lightweight, with a honeycomb shape milled into the back of the mirror and polymer composite material used for the telescope assembly. The mount includes a system of bearings in pressurized oil to isolate the instrument from vibration. Tracking is achieved through a system of gyroscopes, high speed cameras, and magnetic torque motors to compensate for motion, including vibrations from airflow and the aircraft engines. The telescope cabin must be cooled prior to aircraft takeoff to ensure the telescope matches the external temperature to prevent thermally induced shape changes. Prior to landing the compartment is flooded with nitrogen gas to prevent condensation of moisture on the chilled optics and instruments". I wonder what clowns waste tax payers money with this.